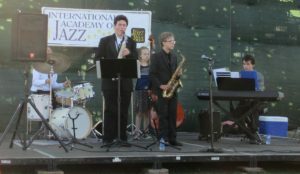 IAJSD Students Performed at Bayside Summer Nights! 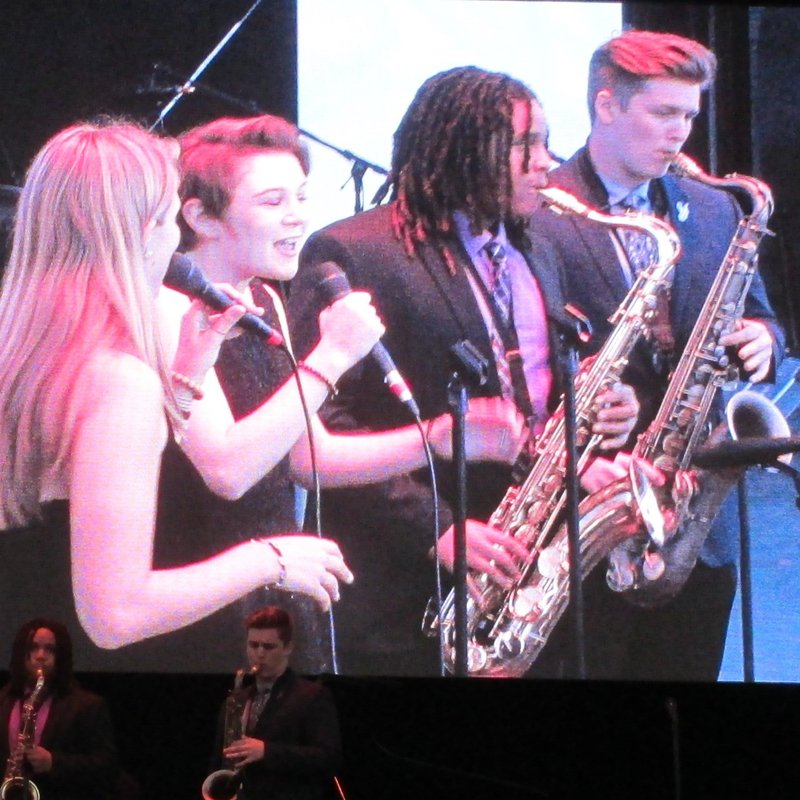 On Thursday, August 18, 2016, 14 IAJSD students performed at Bayside Summer Nights at the Embarcadero. This is the large San Diego Symphony Summer Pops stage which seats over 2000 people. 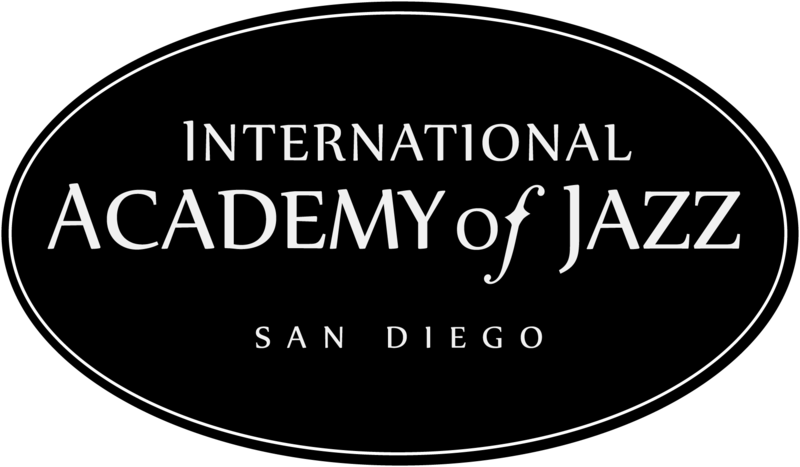 Gilbert Castellanos (Artist Director, IAJSD) was asked to curate a summer jazz series for the SD Symphony. 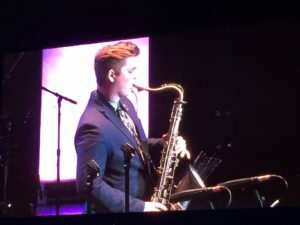 Last night, August 18, the concert was titled “The Future of Jazz” and featured our up and coming IAJSD students and Cécile McLorin Salvant, an incredibly talented 24 year old jazz vocalist. Click here to read an excellent article by local jazz reviewer and IAJSD board member Robert Bush. He captures the event! From 6pm to 7pm students from our 9am class performed at the entrance stage. They sounded amazing! Hundreds of people sat down to watch the show and several people came to talk to our parent volunteers to learn more about the program. Everyone who joined our mailing list received a free CD featuring Gilbert. At 7:30pm our 11am students performed on the main stage. They sounded like stars! It was an incredible performance and so fun to see the kids projected on the big screen. It was one of the best IAJSD student performances I’ve ever seen. We are all so proud of these students! Beeeeautiful show last night. Thanks again to Gilbert C Castellanos for giving me an opportunity to play on such a grand stage…and this time with a big screen. And of course I have to mention Cecile McLorin Salvant. Probably my favorites vocalist ever. Her voice is just so sweet and the story and emotional roller coaster she took me through in her concert was just unbelievable.